and 30,000 more members overseas. People become Freemasons for a variety of reasons, some as the result of family tradition, others the introduction of a friend or out of a curiosity to know what it is all about. The much publicised ‘traditional penalties’ for failure to observe these undertakings were removed from the promises in 1986. They were always symbolic not literal and refer only to the pain any decent man should feel at the thought of violating his word. Although every lodge meeting is opened and closed with a prayer and its ceremonies reflect the essential truths and moral teachings common to many of the world’s great religions, no discussion of religion is permitted in lodge meetings. Freemasons are encouraged to speak openly about their membership, while remembering that they undertake not to use it for their own or anyone else’s advancement. As members are sometimes the subject of discrimination which may adversely affect their employment or other aspects of their lives, some Freemasons are understandably reticent about discussing their membership. In common with many other national organisations, Grand Lodge neither maintains nor publishes a list of member’s details without their permission. The meeting places and halls used by Freemasons are readily identifiable, are listed in telephone directories and in many areas are used by the local community for activities other than Freemasonry. Freemasons’ Hall in London is open to the public and ‘open days’ are held in many provincial centres. The rituals and ceremonies used by Freemasons to pass on the principles of Freemasonry to new members were first revealed publicly in 1723. They include the traditional forms of recognition used by Freemasons essentially to prove their identity and qualifications when entering a Masonic meeting. These include handshakes which have been much written about and can scarcely be regarded as truly secret today; for medieval Freemasons, they were the equivalent of a ‘pin number’ restricting access only to qualified members. Many thousands of books have been written on the subject of Freemasonry and are readily available to the general public. Freemasonry offers spokesman and briefings for the media and provides talks to interested groups on request. Freemasons are proud of their heritage and happy to share it. Freemasonry has an enviable record of providing regular and consistent financial support to individual charities over long periods while at the same time making thousands of grants to local charities, appeals and projects throughout England and Wales each year. For the future, opportunities to obtain or provide matched funding are periodically examined with a view to enhancing the impact of the support Freemasonry can give to specific projects. The personal generosity of Freemasons and the collective fundraising efforts of almost 8,000 lodges. 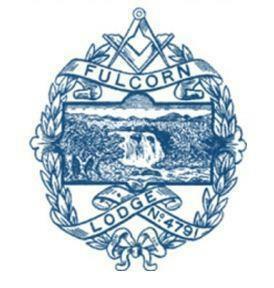 However, will continue to determine the contribution Freemasonry makes within the community.